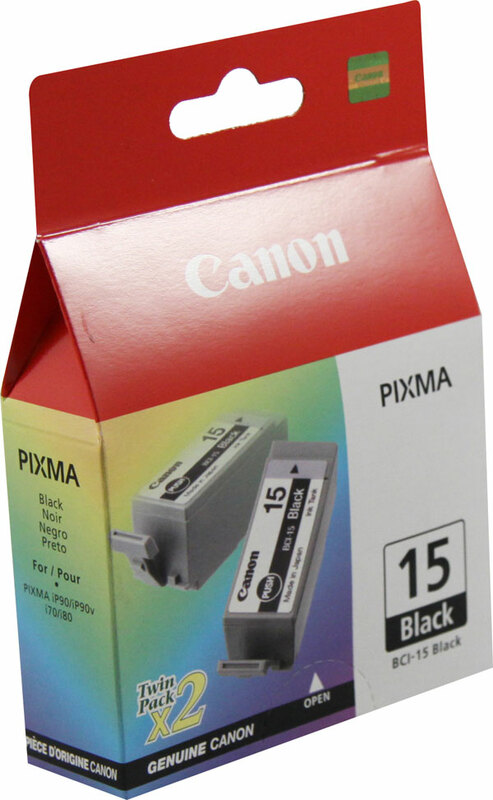 Canon - 8190A003 Original Canon Black BCI15BK (2 per pack) Ink Tanks are designed for use with Canon I70 and I80. Canon - BJI-201M Original Canon BJI-201M Magenta Ink Tank (0948A003AA) Use with Canon BJC-600 600E 610 620 and Apple Color Stylewriter Pro. Canon - BCI-3EC Original Canon BCI-3EC Cyan Ink Tank Cartridge 4480A003 Canon BCI3EC for Canon BJC 3000 6000 F30 F50 F60 F80 I550 I850 S400 S450 S500 S520 S530D S600 S630 N S750 and MPC755. Yields 520 pages. Canon - BCI-3EPC Original Canon BCI-3EPC Photo Cyan Ink Tank Cartridge 4483A003 Canon BCI3EPC Canon BJC3000 BJC6000 MPC755 S400 and S450. Yields 520 pages. Canon - BCI-3EY Original Canon BCI-3EY Yellow Ink Tank Cartridge 4482A003 Canon BCI3EY Canon BJC3000 BJC6000 F30 F50 F60 F80 I550 I580 MPC755 S400 S450 S500 S520 S530D S600 S620 N and S750. Yields 520 pages. Canon - BCI-3EM Original Canon BCI-3EM Magenta Ink Tank Cartridge 4481A003 Canon BCI3EM Canon BJC3000 BJC6000 MP750 MP760 MP780 F30 F50 F60 F80 I550 I850 S400 S450 S500 S520 S530D S600 S630 N S750 and MPC755. Yields 520 pages. Canon - BCI-3EPM Original Original Canon BCI-3EPM Photo Magenta Ink Tank Cartridge 4484A003 Canon BCI3EPM Canon BJC3000 BJC6000 MPC 755 S400 and S450. Yields 520 pages. Canon - BCI-6C BCI-6C Original Canon Cyan Ink Tank Canon BCI6C BJC8200 I960 I9100 I9900 PIXMA IP3000 IP4000 R IP5000 IP6000 IP8500 MP750 MP760 MP780 S800 S820 S830D S900 S8200 and S9000. 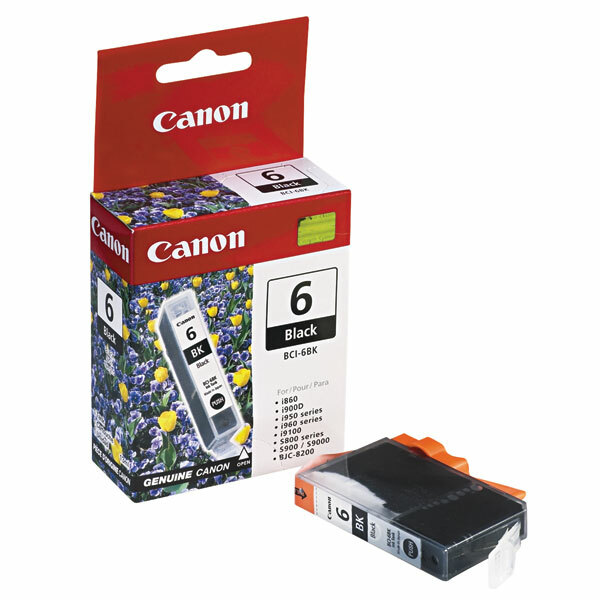 Canon - BCI-6BK BCI-6BK Original Canon Black Ink Tank Canon BCI6BK BJC8200 I960 I9100 I9900 PIXMA IP3000 IP4000 R IP5000 IP6000 IP8500 MP750 MP760 MP780 S800 S820 S830D S900 S8200 and S9000. Canon - BCI-6M Original Canon BCI-6M Magenta Ink Tank Canon BCI6M BJC8200 I960 I9100 I9900 PIXMA IP3000 IP4000 R IP5000 IP6000 IP8500 MP750 MP760 MP780 S800 S820 S830D S900 S8200 and S9000.